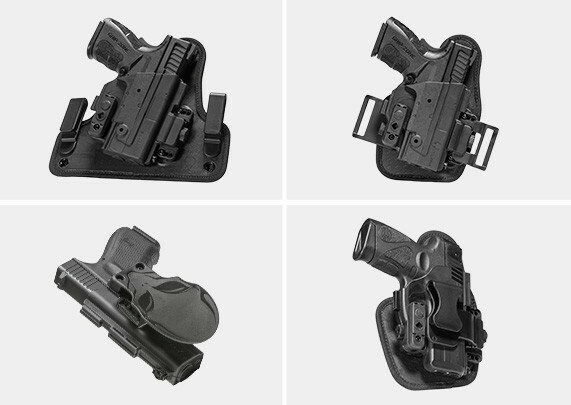 Please note: The ShapeShift Core Carry Pack, formerly known as the Starter Kit, has been renamed to better represent the four most popular “core” carry styles within our growing modular holster system. If you don't want more functionality from a Ruger LC380 holster, this isn't the solution for you. If you don't want to be able to set the retention to exactly the right tension setting, the ShapeShift isn't what you're looking for. If you don't like a comfortable carry, then there are plenty of holster models out there that don't carry comfortably. 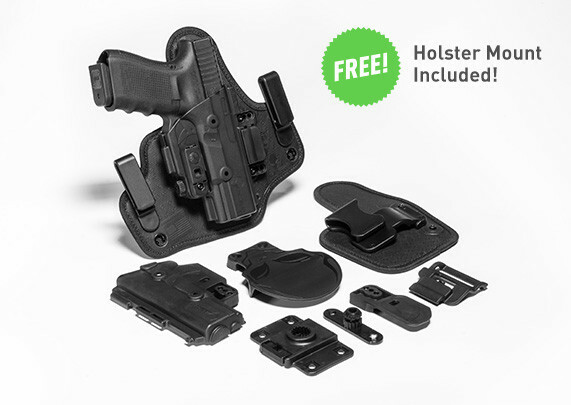 But what if you DID want those things from an LC380 concealed carry holster? What if you want to carry IWB, OWB or in the appendix position, but wanted to be able to switch between them at a moment's notice? You can't very well carry your holster drawer everywhere with you. Now you can. Alien Gear's ShapeShift isn't merely a holster - it's a modular carry system, that allows you to carry how you want, when you want, in total comfort and with a greater degree of customizability than you can get from any other holster design. The core of the ShapeShift is our innovative shell design. 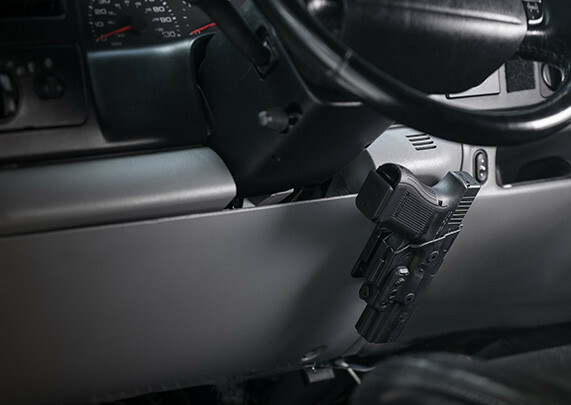 The ShapeShift Core Carry Pack includes one full Shift Shell and two trigger guards, which completely cover the frame and the slide up to the trigger guard. You can attach one of these shells to your choice of backing system or lock them together for a full-wrap pancake holster made from our proprietary ultra-durable polymer. The backing system and attachments you attach set the manner of carry. Select the larger winged backer for a traditional LC380 IWB holster. Enjoy the comfort of the backer, which is constructed from similar materials to our Cloak Tuck 3.0 holster including a closed-cell neoprene backpad, spring steel core and Alien Skin top surface, but streamlined for easier deployment. 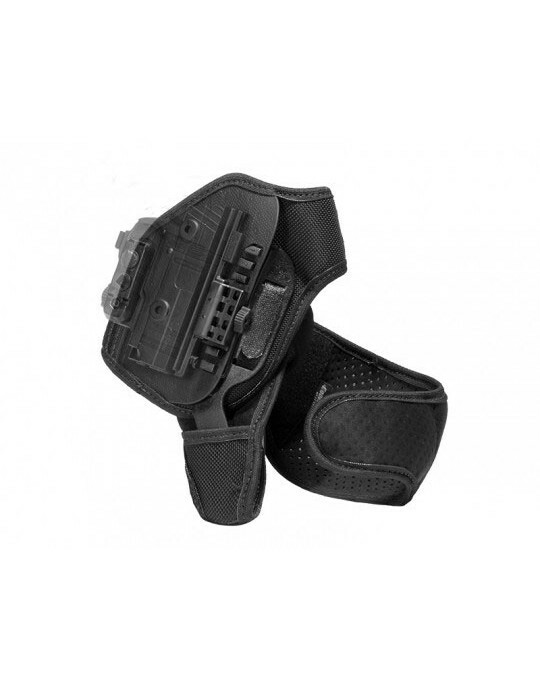 The holster clips are adjustable for ride height and cant, allowing you to set the holster to your desired carry position. Prefer a Ruger LC380 appendix carry holster? Attach a holster shell to the smaller backer and install the appendix IWB clip. Adjust to set cant angle to your preference. For those occasions that you'd like to conceal but want to wear your LC380 outside the waistband, you can deploy the belt slide attachments to the smaller backer as well. That assembles an LC380 belt slide OWB holster that rides high and tight, concealing easily under an untucked shirt. Or you can attach both shells together and install the paddle attachment for a Ruger LC380 paddle holster more durable and adjustable than any other on the market. Cant angle can be adjusted to your preference. 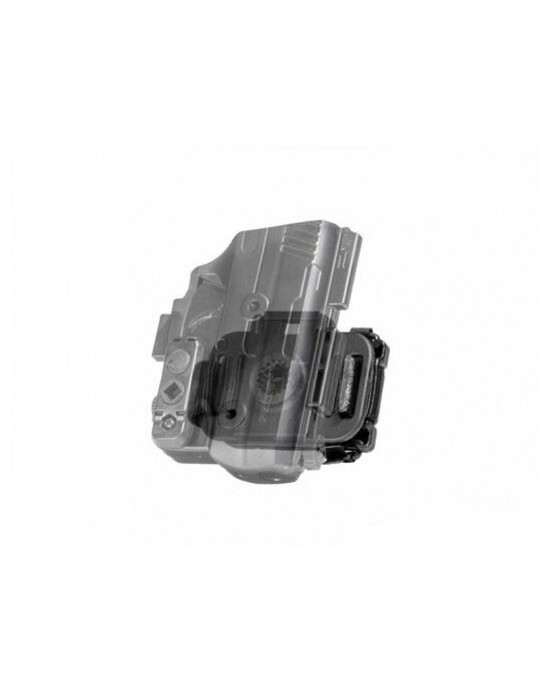 You can also install active retention on this holster configuration in addition to the passive retention bar for a fully functional LC380 retention holster. Like our other products, the ShapeShift Ruger LC380 holster comes with Alien Gear's Iron-Clad Guarantee, which includes a 30-day Test Drive trial period - during which you can return the holster for a full refund if unsatisfied - and a comprehensive lifetime warranty on the holster itself. We think you won't want to carry with anything else.